Ben Nye's Personal Student Kits provide professional quality and strict hygiene at a great price. It's perfect for high school and college actors who need the basics for stage, film or video applications. Each Ben Nye Personal Makeup Kit generously provides enough makeup for a dozen applications. 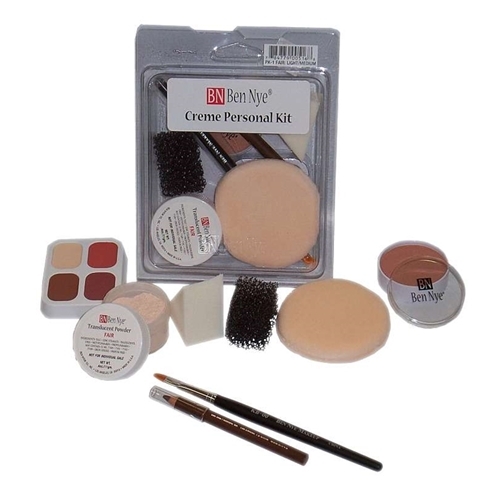 Each Ben Nye Personal Makeup Kit includes: Creme Foundation, Face Powder, Powder Puff, Latex Sponge, Stipple Sponge, Flat Brush & Eyebrow Pencil, Contour Wheel with Creme Rouge, Creme Highlight, Creme Shadow, Creme Lipcolor. Will last through several dozen applications, sufficient for production or classroom. How do I pick a shade? The guidelines below along with the color chart should help you in choosing the correct shade . 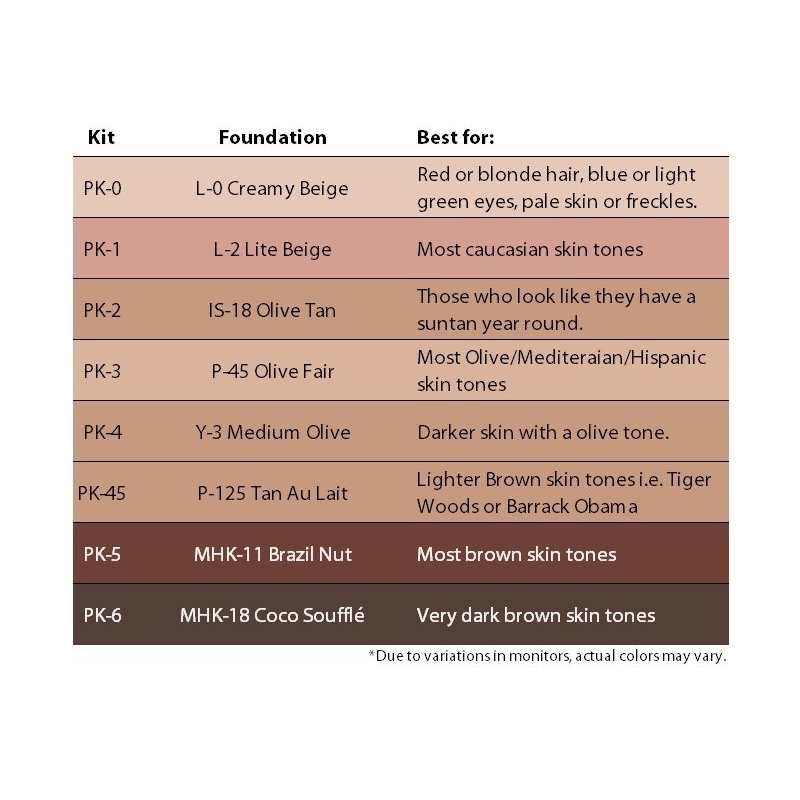 The guidelines below along with the color chart should help you in choosing the correct shade.